Sewer Service Area (SSA) Plans have been developed for twenty-six 208 Water Quality Areas within the Designated ‘208’ Water Quality Planning Area of the East Central Region. 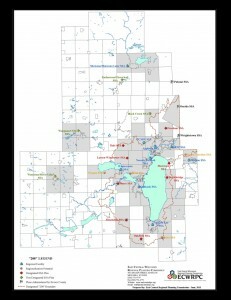 SSA Plans are required under Wisconsin Administrative Code NR-121 for certain communities within Wisconsin and assist in maintaining and improving water quality within the State by outlining areas which are able to accommodate sewered development in a well-managed environment as well as delineating Environmentally Sensitive Areas which preclude such development. SSA Plans also serve as the long-term plan (20-40 years) for the community’s wastewater treatment plant and collection infrastructure and are used as guidance during the Facilities Planning process established under Wisconsin Administrative Code NR-110. East Central prepares and administers SSA Plans under an agreement and funding arrangement with the Wisconsin Department of Natural Resources. The plans are meant to be flexible and are periodically updated (approximately every 5-6 years) in order to accommodate unanticipated changes in the community. All twenty-six SSA Plans, initially prepared in 1985, will have been updated at least once by the end of 2002. An SSA Plan Update Schedule has been developed for future plan updates which will ensure their review on a timely basis. This schedule will be subject to some changes based on timing, funding, and other local priorities. SSA Plan amendments and updates are reviewed/completed by staff and submitted to the Commission’s Community Facilities Committee (CFC) and/or the full Commission for approval. Once the Commission has approved the plan modification, it is submitted to the WDNR for final review and certification. Please note that the plan amendment process can take up to 3 months from start to finish! The Commission’s SSA Amendment procedures are contained within the individual SSA Plan documents. 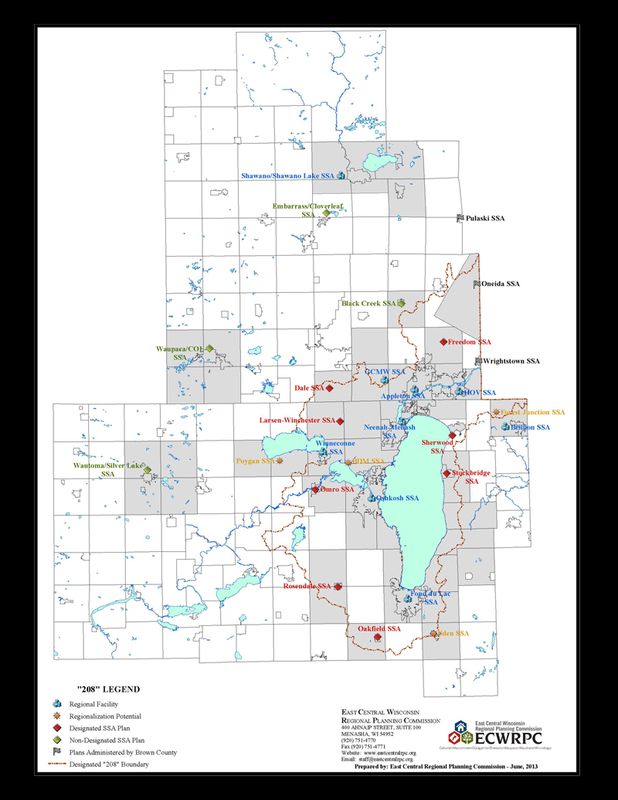 Additional, general information on Sewer Service Area Plans can be found on the Wisconsin DNR’s Sewer Service Area Planning Web Page.